The topic came up on Hugh Hewitt's radio show. 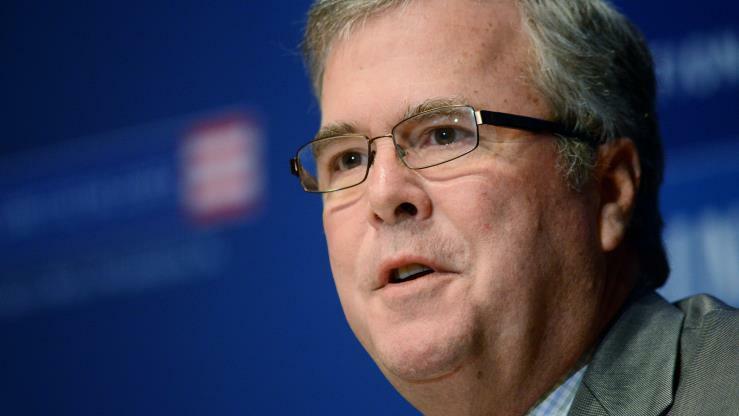 (Bloomberg Politics) — Republican presidential candidate Jeb Bush said Friday he’s open to eliminating the Senate’s 60-vote threshold if it helps Congress repeal the Patient Protection and Affordable Care Act (PPACA) and enact “free-market oriented” health care reforms. Appearing on Hugh Hewitt’s radio show, the former Florida governor was asked if he’d support invoking the “Reid rule”—also known as the “nuclear option”—to nix the legislative filibuster to replace PPACA. At first, Bush said his focus was coming up with a health care plan that Republicans can unify behind. Bush responded that he was open to it. Bush is unique among presidential candidates who have signaled any openness to ending the legislative filibuster. Democrats ended the 60-vote threshold for nominations to the executive and judicial branches (except the Supreme Court) in November 2013, drawing fierce conservative pushback. Since then, Republicans have preserved the change but have not sought to further dismantle the filibuster. Even Sen. Ted Cruz of Texas—a rival Republican candidate who is no stranger to supporting scorched-earth legislative tactics—wouldn’t support the idea of scrapping the filibuster in February 2015 as he was pushing legislation to overturn President Barack Obama’s immigration executive actions.